In these days when the American political scene is deeply divided, even when it comes to foreign policy, there comes along an issue that is often misconstrued because of this divisive atmosphere. And that is the issue of opening the doors to multi-stakeholder collaboration in the area of nutrition. It is regrettable that the US role in advancing this collaboration has been miscronstrued, specifically in the context of US leadership in opposing a particular resolution at the most recent World Health Assembly that was updating global health policy on infant and young child feeding. As reported by Andrew Jacobs in The New York Times on 8 July, 2018 (available here) and picked up in numerous other media outlets), I believe that the US leadership has been incorrectly described as being opposed to breastfeeding because of its opposition to this resolution. The headline even suggests that the US action “Stuns World Health Officials”. The article, which was widely circulated, describes US intervention on a resolution that was ultimately adopted at the annual gathering in May 2018 of the World Health Assembly (WHA), the chief governing body of the WHO. My personal view is that this effort to condemn the US actions has actually been influenced largely by opponents of an inclusive multi-stakeholder platform for infant and young child nutrition. Whatever the rationale might have been for the US to do what it did, I believe that the critics have misrepresented the impact of the US position. On the one hand, if the reporter accurately reported threats by the US against Ecuador to retaliate with punishing trade measures and even crucial military aid if Ecuador chose to introduce this particular resolution, I would emphatically agree that these US actions were wrong. Apparently, some US officials involved in the process have asserted that they did not engage in such threats, but that does not suggest that others might have done so. (Watch those double negatives!) But leaving that aside, I believe that the controversy over the content of this particular resolution was not opposition to the importance of breast feeding. The bedrock of widely recognized infant and young child feeding policy is to promote exclusive breastfeeding in the first six months of a child’s life and continued breastfeeding up to the age of two. Rather, the key issue was – and continues to be – the vulnerability of nutrition and other health-related policies to being controlled by “fence-builders”- those within the public health world who want to keep certain stakeholders out, rather than including them in a multi-stakeholder community. One has to wonder where this resolution actually came from. We do understand that a group of Member-States led by Ecuador and working with a number of interested NGOs had prepared and circulated a draft prior to the convening of the World Health Assembly. This draft can be found at one of the NGO’s websites here. This draft, or some variation of it, was, of course, eventually introduced with the necessary Member-State sponsor – reportedly only the Russian Federation had the fortitude to resist what was alleged to be US pressure not to introduce it, at least according to the reporting in the NYT. It is odd, however, that the resolution that was introduced (that is, the version that appeared as the original Conference Paper 4 available here) actually had 13 sponsors -and that the final revised version, Conference Paper 4 rev. 1, available here had 18 sponsors, the same 13 plus five more. So the Russian Federation was not alone in standing up to the lobbying by the US delegation. While the US did trigger the negotiating process by putting forward its own alternative “draft decision” that was drastically shorn of any details (Conference Paper 5, available here), the drafting group that worked on the issue apparently rejected this alternative and focused instead on making revisions to the original Conference Paper 4. (Available here). The drafting group met behind closed doors – only Member States were allowed into the room. So there is no public record of the proceedings in the drafting group. But there were activist NGOs hovering just outside these closed doors, handing out their commentaries on all of the contentious issues. The final version, “rev.1” to Conference Paper 4 was approved in committee and then by the full World Health Assembly (WHA) as World Health Assembly Resolution 71.9 on the last day of the Assembly. Resolution on Infant and young child feeding approved by the World Health Assembly on 26 May 2018, recorded as A71.9. It would appear that the US lost out because it did not prevail with its alternative draft, but one should focus more on what was removed from the original resolution before reaching such a conclusion. There were a number of other changes apparently weakening the original version, to be sure, but I believe that the most important changes involved the removal of references to two inter-related and contentious issues – having to do with how the WHO should be addressing inclusive multi-stakeholder engagement. One of them had to do with what the WHO Secretariat had proposed as “guidance” for Member-States on the “inappropriate promotion of foods for infants and young children”, and the other had to do with the process for developing “tools to safeguard against possible conflicts of interest in policy development and implementation of nutrition programmes”. Although these two issues have been proceeding on separate tracks within the WHO (because of parallel but distinct mandates in previous WHA resolutions), they are very much intertwined. On the first of these issues, by way of background, the WHO Secretariat had put forward a technical “guidance” document (available here) following a lengthy consultation process between 2013 and 2015. In general, such technical guidance documents are implemented without interference from the WHO’s governing bodies. Nonetheless, this one encountered some resistance when it was finally published, both at the January 2016 session of the Executive Board and at the May 2016 session of the World Health Assembly. The resistance came from the US and others on the far-reaching restrictions on marketing practices that were seen as going beyond what was needed to restrict inappropriate practices. The guidance document was actually the subject of another drafting group at the May 2016 WHA that produced a compromise resolution carefully phrasing how to proceed with the guidance. Instead of endorsing the guidance, the resolution as adopted (available here) states that the World Health Assembly only “Welcomes with appreciation” the guidance. And further, it urges Member-States to act on implementing the guidance with the modifying phrase “in accordance with national context”. This was further supplemented with the complementary phrasing that Member-States are urged to implement the guidance recommendations “while taking into account existing legislation and policies, as well as international obligations”. Clearly, even then, the guidance on this topic was controversial. In that same 2016 resolution, the WHO was mandated to report on progress in implementing the guidance to the 2018 World Health Assembly and again to the 2020 WHA. In a sense, this latest 2018 WHA was another opportunity to fuss with the guidance recommendations. At the same time, the 2018 WHA was also called upon to review the second issue, the parallel initiative on tools to safeguard against possible conflicts of interest in policy development and implementation of nutrition programmes. Since the guidance on inappropriate marketing already included phraseology on what constitutes a conflict of interest in the marketing of foods for infants and young children, the two issues did become intertwined in the WHA deliberations on this agenda item. What is more, the separate but parallel consultation process that the WHO has followed in the development of the tools for safeguarding against possible conflicts of interest in nutrition had also elicited its own controversy. Although the original Conference Paper 4 only referred to this separate initiative as an “ongoing process”, and even that was deleted in the final resolution, the controversy over how to interpret conflict of interest (COI) in nutrition was definitely part of the debate on the broader agenda item that encompassed both the inappropriate marketing issue and the conflict of interest issue. It should be noted here that the WHO process for developing the COI tools and methodology on conflict of interest had gone forward in 2017 but had encountered criticisms then – from the US but also from many others. See a carefully worded report on the process in the official WHO report to the World Health Assembly in May here. The actual documents and responses in the consultation process are available here. Not only were WHO officials criticized for too small a window of time for this latest consultation process; but the WHO had also drafted a methodology and tools that went well beyond the existing WHO approach to interpreting what is meant by conflict of interest. For one, it had provisions for excluding stakeholders who might be associated with the inappropriate promotion of unhealthy foods even where they might also be associated with the appropriate promotion of healthy foods. It even proposed to exclude any entity that might be associated with such interests in a multi-stakeholder platform. And furthermore, it even discouraged multi-stakeholder platforms! This led to the expression of concern that some existing multi-stakeholder platforms (such as the UN Committee on Food Security or the Scaling Up Nutrition Movement) could be excluded from collaboration with the WHO on infant and child nutrition matters. Because of these criticisms, but without any significant changes in the language in the revised set of draft COI documents, the WHO had actually proposed a series of six regional pilot studies prior to finalizing them as officially approved “tools”. This was what most delegations at the World Health Assembly addressed in their interventions this past May. Most of the interventions, especially from developing countries, supported the pilot studies approach, but others criticized the draft documents and urged their revision prior to doing any of the pilot studies. The resolution as approved reinforces WHO work on a number of nutrition-related initiatives for infants and young children – including the Baby-friendly Hospital Initiative, the International Code of Marketing of Breast-milk Substitutes, guiding principles for complementary feeding, and celebrating World Breastfeeding Week. These initiatives were not in dispute. What is striking about the FINAL version of the resolution on infant and young child feeding is that the reference to the ongoing process on COI tools was deleted and that all references to “guidance” on inappropriate marketing were removed. (The resolution did retain some language on urging Member-States to implement “recommendations” to end inappropriate marketing, but without specifically mentioning the WHO’s “guidance” document). Furthermore, at the close of the debate in committee, WHO Assistant Director-General Svetlana Akselrod announced a consultation to be held on 23 October 2018 to review continuing experience and to refine the WHO’s approach. One can only imagine that WHO officials were not themselves “stunned” by what the US had done and that this announced additional consultation was a crucial part of the informal understanding to go ahead with the resolution. One hopes that this consultation will enable a more open and inclusive consultation on the marketing and conflict of interest issues than had occurred in the past. It is interesting to note that on 11 July 2018, a few days after the NYT article, the chair of the drafting group (an official in the Thai Ministry of Public Health) posted a reaffirmation of consensus on the final resolution on the WHO’s Nutrition home page, available here. One might further note that the alleged sole sponsor of the original resolution, the Russian Federation, has been an active leader in the nutrition field. The WHO has benefited from this Russian expertise on nutrition, with both the current (Dr. Svetlana Akselrod) and the immediate previous (Dr. Oleg Chestnov) Assistant Directors-General responsible for the work on nutrition within the WHO Secretariat being Russians. So it is not all that surprising that the Russian Federation would end up as the lead sponsor. It is to be hoped that this Russian leadership will facilitate an inclusive consultation in October. To place this COI-in-nutrition issue in a broader context, one is encouraged by the repeated calls from the new WHO Director-General Dr. Tedros Adhanom Ghebreyesus for partnering and for benefiting from what he acknowledges and embraces as the dramatic increase in the many other actors, besides the WHO, in global health. These are bold statements by Dr. Tedros since the WHO has a previous record of resistance and exclusion of stakeholders associated with certain industries. He describes partnering as an opportunity for the WHO, not a threat. “We must use whatever partnerships are open to us,” he reiterated in his opening message to the WHA in May, “in whatever way we can, to achieve our goal. We have to believe in partnerships – that’s the only way.” What is more, he has repeatedly referred to the new Framework for Engagement with Non-State Actors (FENSA) as providing the “guardrails for that engagement” while adding emphatically that “FENSA” should not be a “fence”. While I personally remain critical of FENSA because of its reluctance to embrace multi-stakeholder platforms and its mistrust of private commercial interests, I also understand that Dr. Tedros is interested in making it work as a framework for all kinds of partnering opportunities. Unfortunately, the momentum on the COI-in-nutrition policy had taken steps well beyond FENSA to restrict inclusive engagement. With the affirmative leadership from Dr. Tedros and a commitment from ADG Akselrod for consultations in October, it is to be hoped that a reasonable accommodation will be made. That said, and on a final note, it is indeed regrettable that the market for infant formula and questionable complementary products is a growing one, and that the campaign to promote and support breastfeeding continues to be an uphill battle. Even where a company announces that it is fully compliant with the BMS Code, as Nestlé and others have done, there are significant gaps. Recent concerns are being directed to the growing array of complementary products that seek to circumvent the parameters of the Code. That said, the Nestlés of the world should not be shut out of the process but rather should be held to account. Even as the intransigent opponents think that a “fence”, modelled on excluding tobacco and arms manufacturers, is the way to go, I believe that accountability is advanced through an inclusive approach. 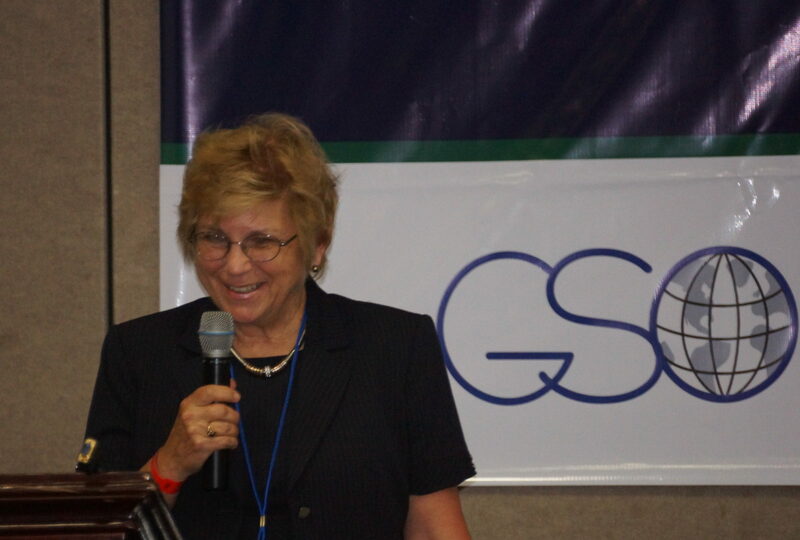 NOTE: I am the founder and executive director (retired) of the Global Social Observatory, a multi-stakeholder platform for dialogue and collaboration on global social issues. Transparency and collective scrutiny of commitments are integral to the approach the GSO facilitated for the prevention and management of conflict of interest in the Scaling Up Nutrition Movement. The Reference Note and Toolkit for the Prevention and Management of Conflict of Interest for the SUN Movement are available here. It is through initiatives like the SUN Movement that abuses can be stopped – and that the pooling of resources to promote and support breastfeeding can be strengthened.